As members of the National Association of Government Approved Freight Forwarders (NAGAFF) files out on Monday to elect their new chapter executives, the Chairman, NAGAFF Electoral Commission (NECOM), Mr. Okey Nerus has said that all is set for hitch free and transparent elections. Nerus who made this known in an interview with Primetime Reporters over the weekend disclosed that the election which had been postponed twice would eventually go on as scheduled Monday as the initial set back witnessed earlier had been duly taken care of. In his words,” we are good to go, come Monday, by this time (evening) it is either the elections have been rounded up or we are in the process of counting the votes”. “All the logistics problems that you talked about, we have taken them into full considerations and then decisions had been reached on how to handle them.Everything that has to do with logistics about the Election Day on Monday has been duly taken care of. So we are very prepared, we are hundred percent ready, we good to go”, Nerus assured. He further noted that although the Commission was not expecting any hitch on the Election Day, that should any arose, it would not be out of place to understand that all human creations were not perfect. The NECOM boss disclosed that the Elections Petitions Tribunal which would handle cases emanating from the elections would be inaugurated this week even as he assured that the Tribunal would have ample opportunity to deal with cases that would have to do with the elections before the swearing in date for the elected officials on the 1st of April, 2014. Nerus also dispelled the fears in some quarters over the possibility of shifting the elections further explaining that the reasons for the previous shifts was to create a level playing ground for both the aspirants and the voters in order not to disenfranchise anybody. He posited that now that all shades of opinion had been accommodated, there won’t be any need to further shift the elections. 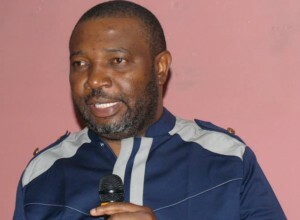 On the insinuations that the two previous postponements were triggered off by the NAGAFF high command to generate more money for the association, he has this to say,” it was not true. I have always said it, any decision that has to do with this election has always emanated from this commission but that doesn’t underscore the fact that if there are reasons for consultations, we won’t consult”. Thanks Comfort. We are encouraged.